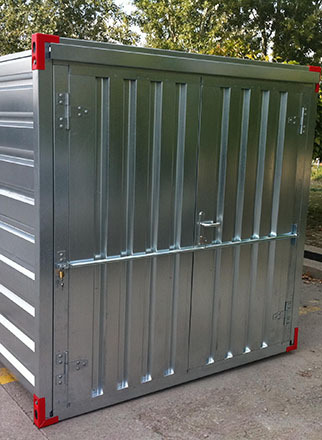 We help business and general public with their storage needs. 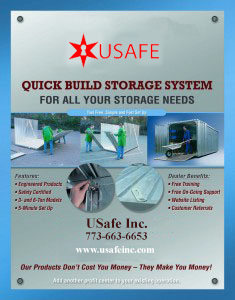 USafe is not a “one container fits all” company. We recognize that everyone’s storage needs are unique. Whether you require portable on demand storage, flexible self-storage or need to own a long term solution, we can accommodate you. Whether you are moving, renovating, or just need more space, USafe flexible Quick Build containers come in a variety of sizes and can be configured to fit your needs. USafe storage solutions can accommodate almost every industry, including but not limited to construction, industrial, residential, and commercial. Storage containers can be delivered directly to your site or we can provide self storage at our facility. Units can be delivered assembled and ready to use, or delivered flatpacked and assembled on site in less than 15 minutes without tools. Rent or own, large or small, we have a solution that will work for you. USafe currently serves clients in and around Chicago, IL and throughout USA. We are actively adding US Distributors throughout the United States; if interested, please inquire for more information. John has chosen to expand the S.A.F.E. Company dealer network.These Portable Storage Distributors are able to bring the wide product line of quick-build, flat pack, portable container systems to every corner of North America.